In a call with investors Wednesday, Chipotle announced plans for significant changes that will be felt by diners. 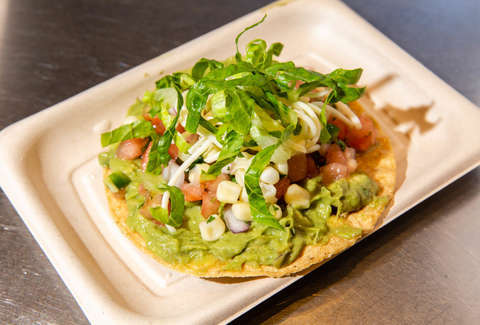 The most exciting change for Chipotle fans may be a taco happy hour. "We are exploring a happy hour offering that helps reach customers during non-peak hours, with $2 tacos with a drink between 2 and 5," a spokesperson told Thrillist. "We are exploring a similar offer for after 8pm." Chipotle also announced plans to launch a customer loyalty program in 2019 to counter menu fatigue and customers who were driven away by the many food safety issues over the last few years. The program will begin to be tested in the second half of 2018, says Reuters. Additionally, delivery will be expanding again. Chipotle expanded delivery to more than 1,500 stores in late April through DoorDash, but Wednesday's announcement revealed that you'll soon be able to order delivery through the Chipotle app from around 2,000 stores. All of these changes follow last week's announcement that an updated menu is being tinkered with at the New York test kitchen. The new items are delivering on many of the requests customers have previously made, including quesadillas, nachos, avocado tostadas, margaritas, and milkshakes. The company has long touted its limited menu and quality ingredients, but that started to change when Chipotle introduced the not-so-loved queso last fall. These changes arrive shortly after Chipotle hired Brian Niccol, formerly of Taco Bell, as the company's new CEO. Though he's only been at the helm for a few months, shares have risen 80% in that time and the planned changes are significant. Those plans also include the company taking charges of $115 to $135 million for the "moving of offices, the restructuring of the organization, and closing underperforming restaurants," which will include 55 to 65 restaurants. Though those changes may go unseen by burrito lovers, taco deals and a loyalty program are the kinds of perks that could bring many people back to the restaurant.